From selling your services to sharing the latest update on the new office pot plant. 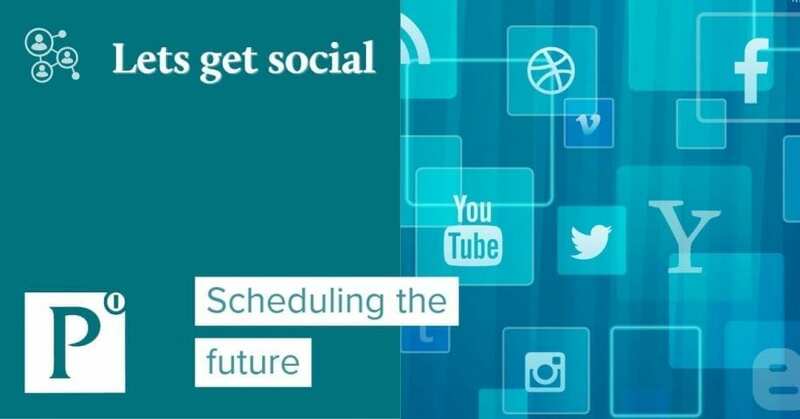 Navigating how you manage social media accounts can be a time management minefield. These days most of the big social networks offer the schedule function on posting content, but what does this do and how can it save you time? The genius of the schedule feature for you is that you don’t even have to be logged in for something to be posted to your page. This means that rather than remembering to say log in every day at 2:30pm to post something you can spend half an hour on Monday or any other day and schedule all the posts for as long as you want. This is a great and powerful tool when you couple it up with the analytics that can be derived from most networks these days. Allowing you to target specific demographics in your follower base just by the time that you post to the network and is something that will be discussed in later blogs. So how can you use this tool to your advantage? The best strategy for starting out on social media is to be consistent and be posting regular content at regular times. Now I’m not talking posting every Tuesday at exactly 2:13pm but having a post on a Tuesday afternoon on a similar topic or theme is an advisable plan. When and what you post is up to you but simple things such as highlighting a product, a customer review or other such things are a good start. Create a content planner. A simple weekly or monthly layout of what you plan on posting and when. This is great to help you visualise how your covering the time and help you map out what content you need to find/generate to fill it. Be it finding relevant external sources or spending some time sitting down writing your latest blog post. If you follow the steps above, you know what and when you are posting now its down to the content. This is where you can use those few minutes here and there to find interesting content. Start a list or note in something like OneNote or Evernote. Save links to content when you see it that you can then go back to later and utilise for filling spaces in your planner. One thing to take from this is use your time wisely and use the tools to take the load from you so you can be out and in your business.